Worried about the long-term effects of over-use of water? Looking for ways to make a difference - think globally - act locally? Got a teenager who spends too much time in the shower? 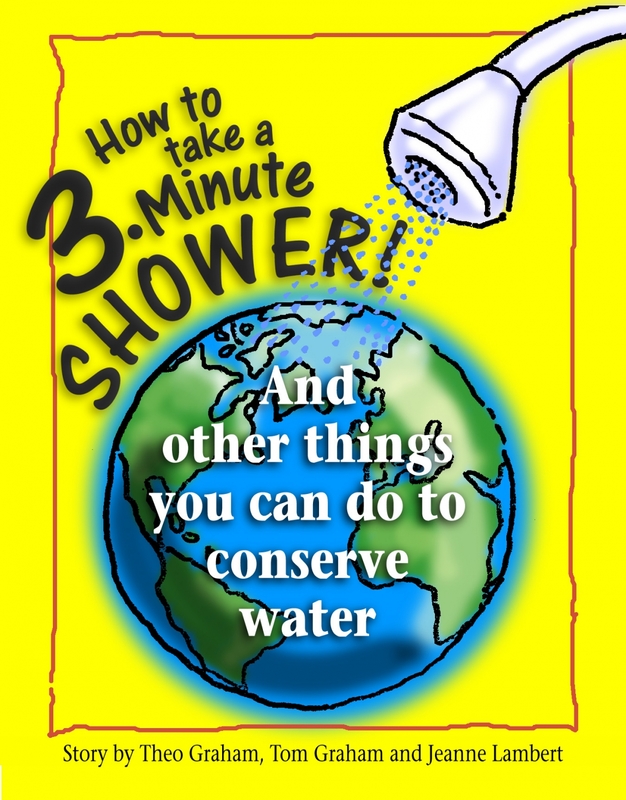 The handy steps listed below are from a new book called “How to take a 3 minute shower...and other things one person can do to conserve water” , by the family of local author Theo Graham. Theo recently won first place in the Royal Canadian Legion’s Regional Public Speaking contest for his speech on the same topic. Now, a book published by Habit Five Publishing is available for those seeking to gain a greater awareness of some of the things a family or individual can do to make a real difference, right now, right at home. For instance, the book explains that while people in developing countries might use only 6 litres of water per day for all of their needs - including drinking - the average person in Canada and the US uses 350 - 400 litres of water every day for their domestic needs! By using a low-flow shower head, for example, and taking shorter showers, a family of four could save up to 250,000 litres of water every year! Other tips, facts and pointers are listed, as well. Using simple graphics to illustrate each point, the book is a good reminder that conservation - especially water conservation - is something we should ALL pay attention to, and that there is always something we can do about it. Instead of just reading about it, you can act on it. First of all, Be Prepared, Move Quickly, Stay Focused! Step #4 Get hair wet. That will get the rest of your body wet, too. And remember: Move Quickly! Step #5 Shampoo hair first, (using 2 in 1, shampoo & conditioner)? Step #8 Shut the water off. Don’t linger, you’re done!